Home Uncategorized How did One Ordinary Guy scoop a 1 BTC prize? How did One Ordinary Guy scoop a 1 BTC prize? Crypto Gaming expert Ryan Shields had become the first winner to get a free BTC prize over a super group of passionate crypto folks all doing heroic things for the cryptommunity. 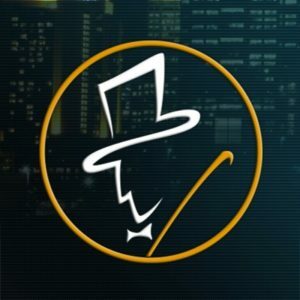 And FortuneJack is where the cryptommunity gets its game on. Ryan is no stranger to being a part of the cryptommunity. Way back in 2015 in Boston, Ryan turned to crypto for the first time when he came across the Fortunejack website, and like so many before and since, saw the upsides of Bitcoin in gaming. Ryan has been hooked to crypto technology ever since. That passion for Bitcoin is what inspired Ryan’s prize winning project: Bitcoin Gaming Online. It goes without saying that FortuneJack knows a thing or two about particular subject, and were blown away by the superlative quality of Ryan’s site. Keeping cryto-gaming on the level is of benefit to the whole crypotommunity, and his dedication to the cause won Ryan the 1BTC JACKMATE prize, the very first given in FortuneJack’s new monthly giveaway. Ryan has big plans for his 1 BTC winnings. As a current resident of the North-eastern seaboard and it’s chilly winter weather, he sees a vacation to sunny Florida in his very near future. But like all dedicated members of the cryptommunity, Ryan’s first priority is to double down on his involvement in crypto gaming. “I believe the future of cryptocurrency will only continue to grow in popularity.” Ryan Shields is not alone in that belief, for a cryptocurrency revolution that, even as a tough early 2018 is evening out, is still set to increase hugely in value. HUGE congratulations to inaugural winner Ryan Shields. Will your name be next in the JACKMATE Hall of Fame? Make an impact on the Cryptommunity online or offline, share it on Twitter with the hashtag #JACKMATE, and join FortuneJack’s Official Discord Channel to let us know you’re in the running. That’s all you have to do, and we could send you 1 BTC for it.